Santa and Lapland – synonymous for centuries. But, with Finland heralded as a juggernaut of innovation, Santa’s permanent residence has, in recent years, offered far more than just meeting the great man himself. There’s also a showcase of accompanying delights to thrill children and adults alike. 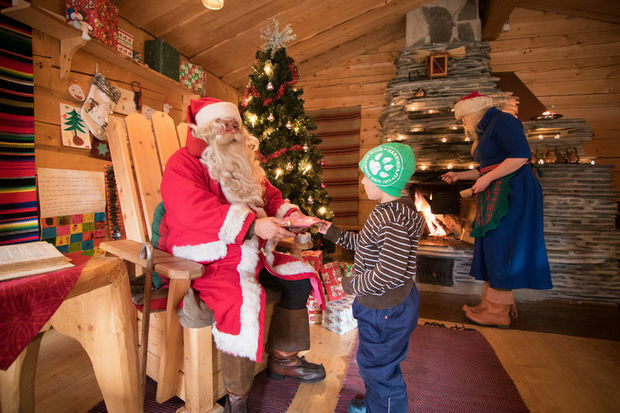 Between visits to Santa’s official village in Rovaniemi – where we defy even the surliest Scrooge not to revel in the festive fun – you’ll enjoy cosy evenings in one of Lapland’s iconic log cabins, many of which come with their own personal wood-fired sauna – a tradition almost as old as Christmas itself. Or, find Santa in his Harriniva hideaway, perched among snow-dusted firs and reached via twilight sled rides beneath the forest canopy. There’s even the chance to make like Santa himself, meeting real-life Rudolphs and Dashers before taking the reins and sledding through the ice-slicked wilderness. 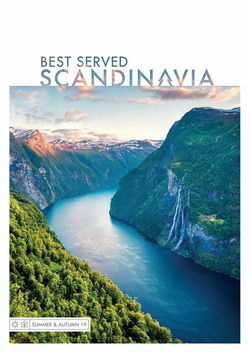 Or, you might prefer to take in the fairytale Arctic surrounds on snowshoeing trips and snowmobiling safaris through Lapland’s snowy wilds. Stay in a cosy log cabin as you meet Santa and his elves, enjoy reindeer sleigh rides and plunge into the wilds on snowmobiles and dogsleds. 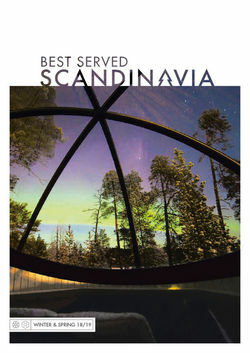 You’re also ideally positioned for spectacular Northern Lights displays. 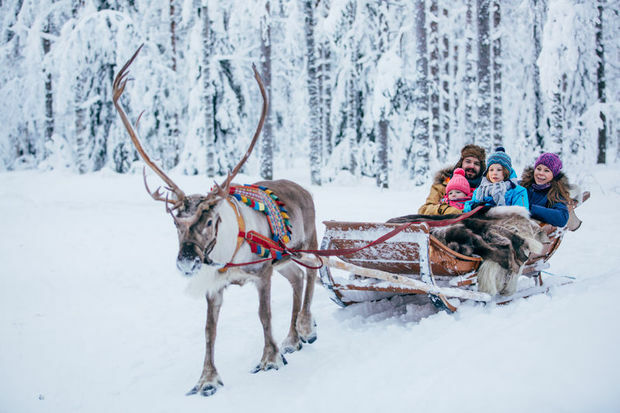 Enjoy a husky safari, bake cookies, feed reindeers and meet Santa in his log-cabin home, all on this escorted festive break, led by an expert from Best Served Scandinavia. 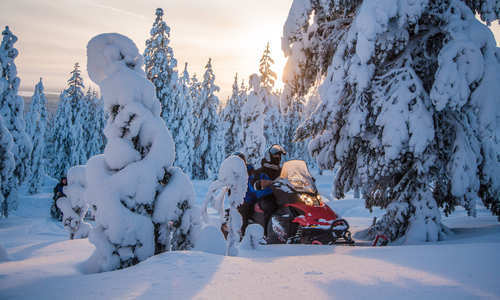 We’ve also included a thrilling snowmobile safari to help showcase the very best of Finnish Lapland’s snow-dusted wilderness. 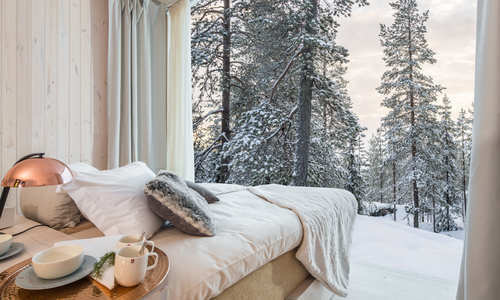 On this festive break to Rovaniemi, you'll stay in a delightful pine-wood cabin, complete with private sauna, and enjoy a host of seasonal activities. Indeed, you'll experience some true Arctic classics – snowmobiling and husky sledding are both special highlights – alongside included half-board dining and a special Christmas Eve feast. 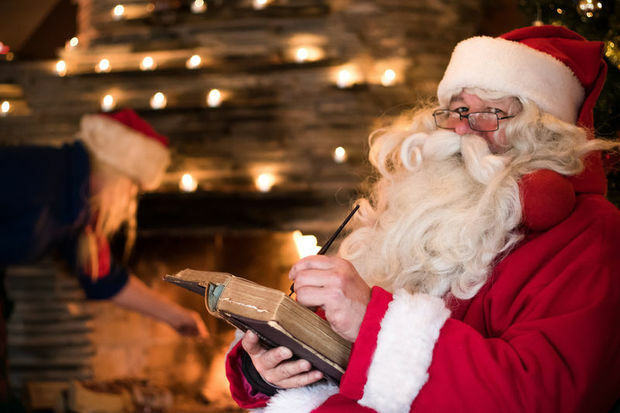 And, don't forget your visit from St Nick himself, an unforgettable experience for the whole family! Experience the magic of Christmas on this special yuletide departure, which sees you travel out to to snow-dusted Harriniva in the heart of Finnish Lapland. Departing on 23rd December, you'll be swept up by the festive spirit, as you're treated to a full spread of included activities, from Christmas craft making and marshmallow toasting to reindeer farm visits and snowmobile adventures. You'll also have the chance to dine in an ice restaurant and meet Santa on a private visit to his log-cabin home. Get in touch today to start planning your next winter holiday. Remember, availability is highly limited so don't delay to ensure our travel consultants can book you the perfect holiday. Contact us on 020 7838 5956 to start planning today.